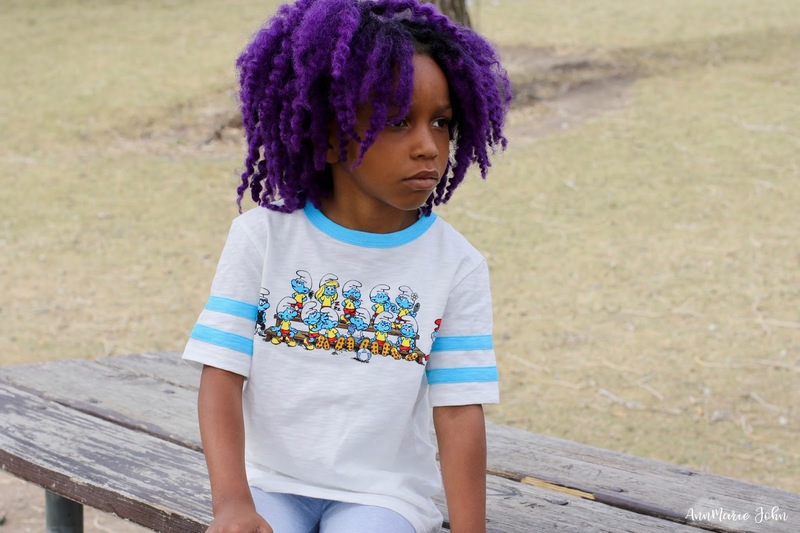 The Smurfs collection from Gap Kids is just what you need for the new upcoming Smurfs movie. I have always been a fan of the Smurfs, and grew up watching the cartoon every Saturday morning. I'm sure that most of you have and can hum along to the theme song. Every Saturday I would watch as the evil Gargamel and his cat Azrael try and catch these lovable blue creatures, and would cheer as they got away and foiled his plans. I loved Papa Smurf, Brainy Smurf, Grouchy Smurf and all the others, but boy oh boy, Smurfette was my absolute favorite. After all, she was the only girl among a sea of blue and the leading lady. So how does one become a leading lady like Smurfette? We share 9 tips on how you can be your own leading lady, just like Smurfette. 1. Ask questions. If you don’t know the answer to something, or don’t understand, just ask! Your question is probably on someone else’s mind, too, but they might be afraid of looking stupid. No one has all the answers. Don’t worry about what others will think. Strong leading ladies only grow stronger by learning all they can. 2. Speak up. As long as you think before you speak, what you have to say is just as important and valuable as what everyone else has to say. And, if you know something is wrong, you should definitely stand up for what’s right. Leading ladies go to bat for others. 3. Be confident. Everyone has strengths and weaknesses. Focus on what you’re good at, because you are special for it! We all have an important role to play in the game of life, so have faith in yourself. Leading ladies know that a girl’s best accessory is confidence! 4. Dare to be different. You weren’t made to be a cookie cutter of everyone else. Don’t be afraid to make unique choices. Whether you are doing the right thing when everyone else is doing something wrong, or you’re wearing something others might think is uncool, dance to the beat of your own music! Leading ladies stand out from the crowd. 5. Mentor others. Always help others if you have the ability to do so. If you’re good at something and someone else wants to learn, teach them what you know. Sometimes younger girls need a “big sister” type of friend to talk to and maybe that can be you! Leading ladies lend a helping hand. 6. Set an example. When you do the right thing, when you stand up for yourself and others, when you stand out from the crowd, and when you mentor others, you’ll empower other girls to rise up and do the same. Success and happiness are contagious! Actions speak louder than words: People are more likely to learn from what you do, not what you say. Leading ladies lead by example. 7. Shine by doing what you love. Make time to do what your heart desires! Do it even if it’s not cool or popular. Don’t try to be something you’re not. You have been given your gifts and talents for reasons you may not understand just yet. 8. Make a difference. Do what you can to make the world a better place. If you have an idea that can make someone’s life easier or help the planet, turn that thought into a reality! Talk to adults to learn what steps you need to take to do this. Leading ladies help their friends, their communities, and their world. 9. Think big. The sky is the limit! Daydream! Don’t let anyone tell you your ideas are impossible. Think of all of the women in history who were the first to succeed in their fields. People told them their dreams were crazy, too. Leading ladies are innovative. And to top it all off, don't forget the gear! 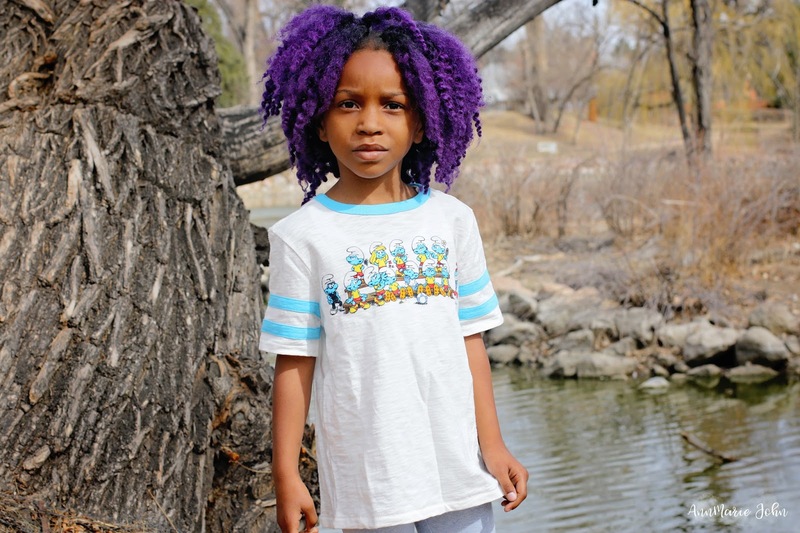 GapKids originally designed limited-edition Smurfs collection captures the beloved Smurfs’ unique personalities and adventurous spirit with colorful printed and graphic kid’s clothing. 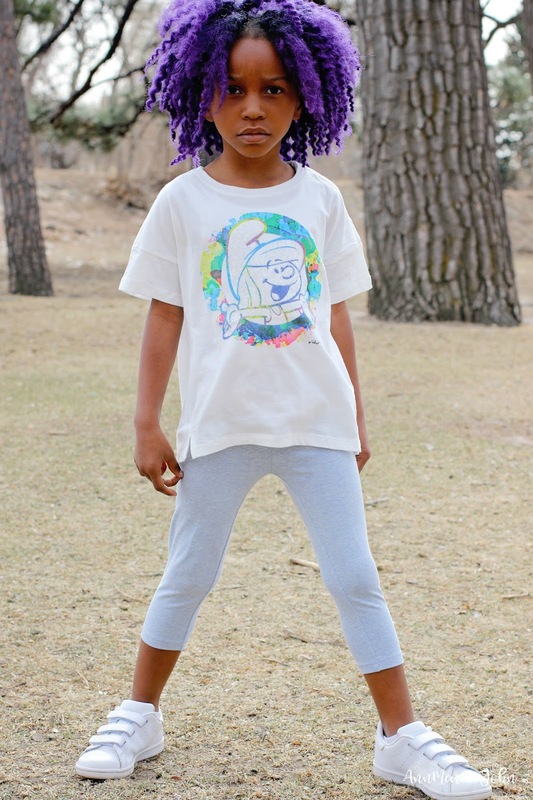 The collection includes fun and colorful graphic ringer tees that sport the entire adorable Smurf cast. 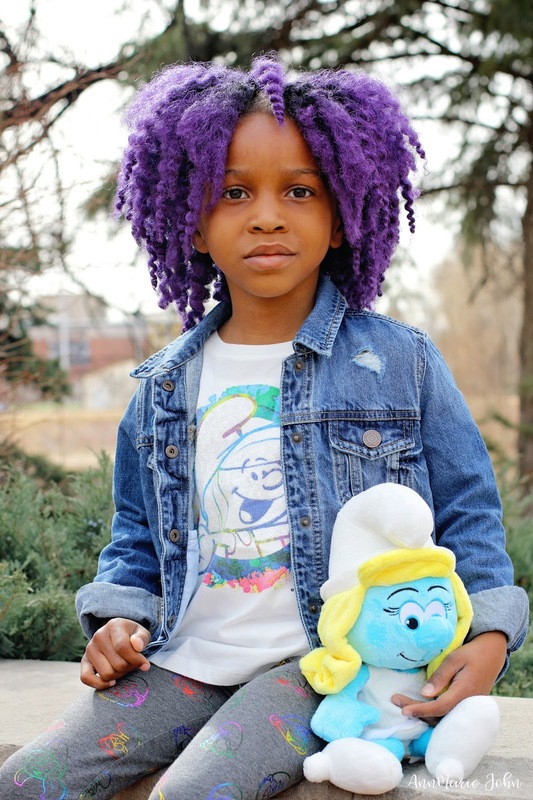 Girls are also treated to knit dresses, leggings, tops, and denim jacket featuring rainbow embroidery inspired by the Smurfette leading ladies. 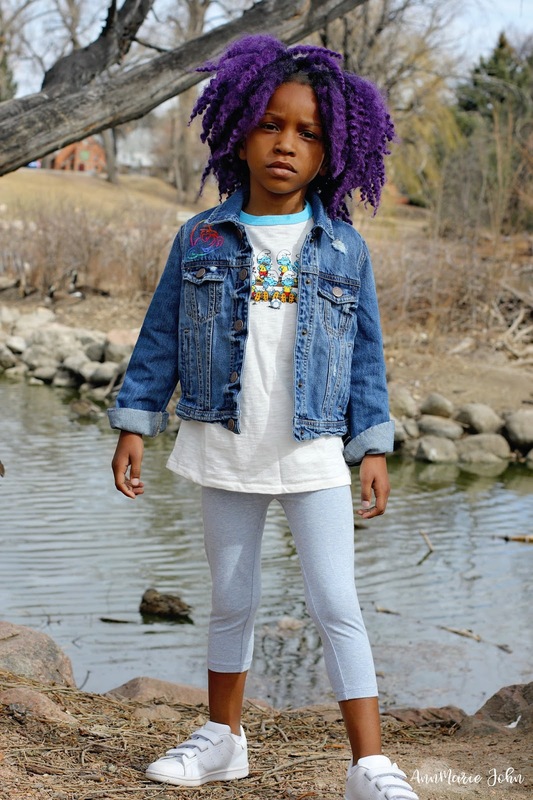 Price Points for the GapKids collections range from $19.95 for graphic tees and leggings, to $54.95 for the Denim Jacket and is currently available on www.gap.com and in select Gap stores. Be sure to catch the Smurfs’ third animated movie release, Smurfs: The Lost Village in theaters April 7th. 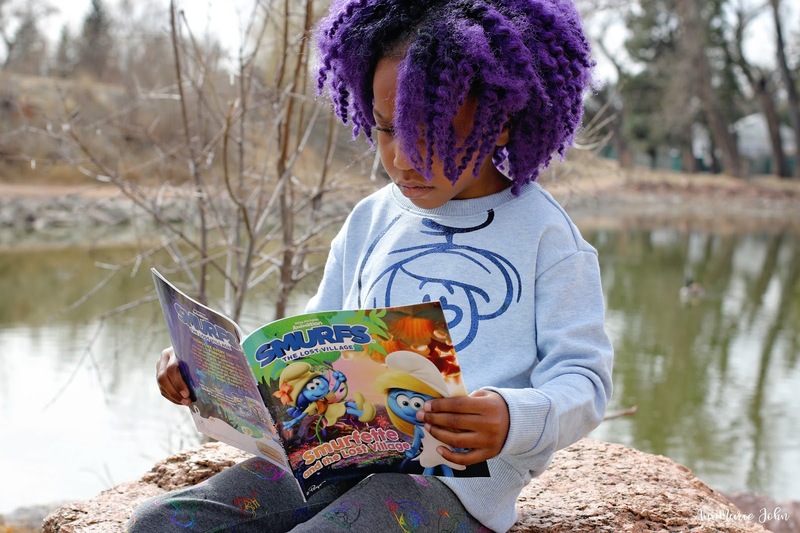 Are you excited to see Smurfs: The Lost Village and what do you think of the new Limited Edition Smurfs Collection by GapKids? I am pretty excited about the new Smurfs movie. I have always loved them and can't wait to see it. I love this. I think it's so important to teach our girls to be the star of their own lives. Great post! I'm so excited for this newest Smurfs movie. I never thought about it like that, but you're right. Smurfette is pretty boss. THIS! I am all about girl power. I grew up hearing phrases like "like a girl" used as an insult, and I wanted to clobber somebody! I love this so much. It's a shame, but we still need to go the extra mile to ensure that our girls know how powerful and special they are. The struggle is still real out there. What great tips to teach your daughter! If there's anything I lacked in my childhood, it was how to be confident and stand up for myself. Oh my, I so love her hair and clothes on. Little girls should be taught empowerment at early age. Parents should teach young girls to be confident and be empowered. Super nice hair, I want to have like that. These are exactly what you need to teach your daughter as they grow up, especially during times like these! I think your daughter is absolutely adorable! I really like her clothes! I didn't know that Gap Kids has a line inspired by the Smurfs! So cute! I didn't know either until I saw this post. I need to pick up a Smurfette shirt for my granddaughter. Those are great words to live by. OMG her outfits are adorable , that jean jacket steals the show! Omg I'm obsessed with these clothes!! I loved Smurfs as a kid and these clothes are so modernized! I HAVE to get these outfits for my daughter, she will love them! 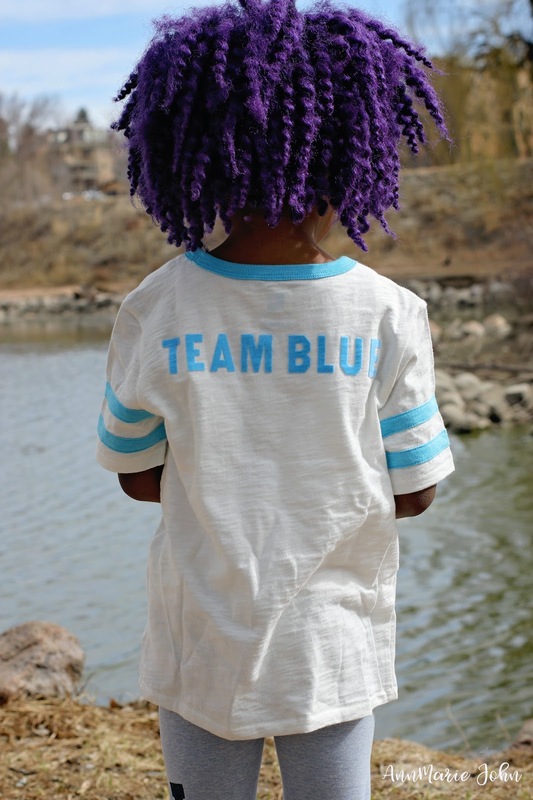 Love the 'Team Blue'! 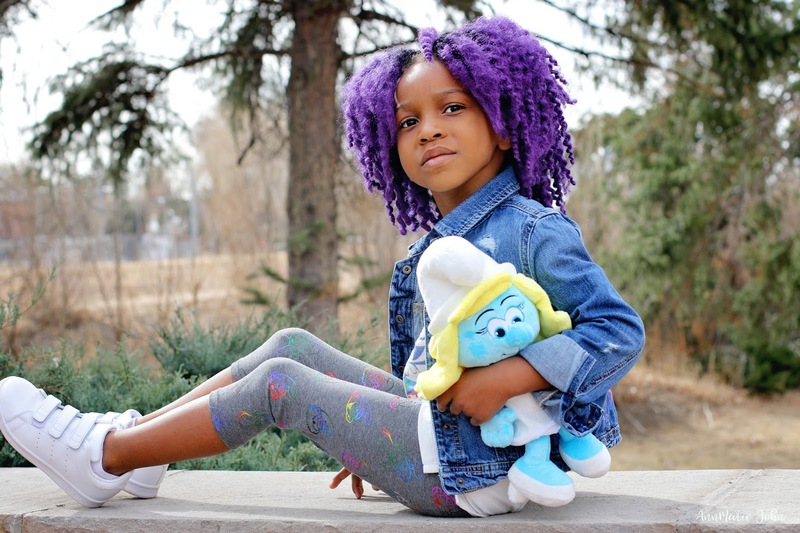 Madison is absolutely working the entire Smurfs collection! The movie is amazing. My daughter and I got the chance to screen it a few weeks ago and we both loved it so much that we may go back to see it again. I'm actually really like dress that says all along the bottom and I may have to go back to the Gap to get that. It is so important to teach kids at a young age to be themselves. I teach my girls that they are unique and beautiful in their own way and no one should ever make them feel otherwise. I'm a total Smurfette and love these clothes! 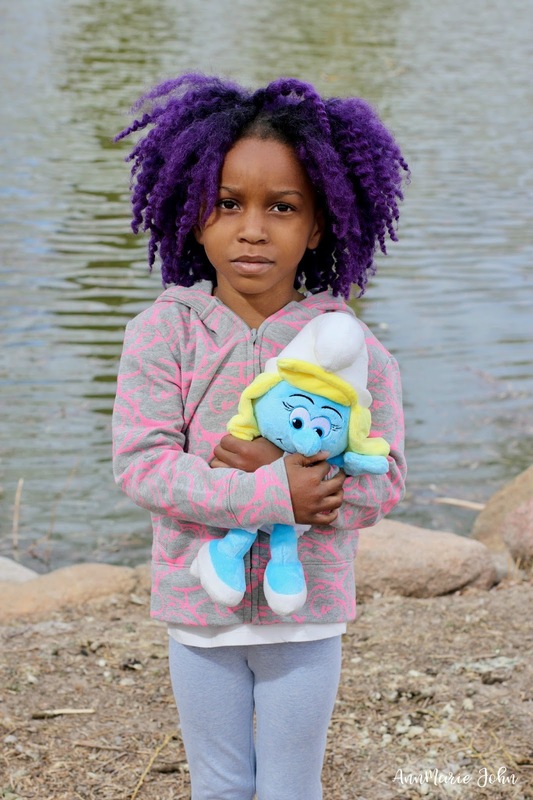 Every little girl should be like Smurfette - She rocks! Smurfette is cool and my favourite surf and is the best lady to ever come out of Belgium! :D Loving the clothin! I love this so much! She is so beautiful,and stylish. The movie looks cute too. That dress is so amazing! We're excited for the movie. I love these messages for girls today, and I think I give them all to Scarlet. It's amazing and I can't wait to see what she'll do with them! Ahh can't beat smurfs and smurfette! The apparel is really cute and also quite understated which I like! I loved the Smurfs when I was young. Smurfette was my favorite and I would have totally rocked that Smurfette sweatshirt. I love the way you can mix and match all these outfits! That means kids can be in charge of their outfits and that makes for happy kids. I really love these two tips - do something you love because you will shin when you do :) Also, be confident and that we all have strengths and weaknesses - it's so important to focus on what we have to offer the world. What beautiful photos, I super duper love her purple hair! OMG so adorable!!! And how I've always loved Smurfette! These clothes are awesome! What an adorable line, especially that awesome denim jacket. Smurfette is definitely a great example of girl power! 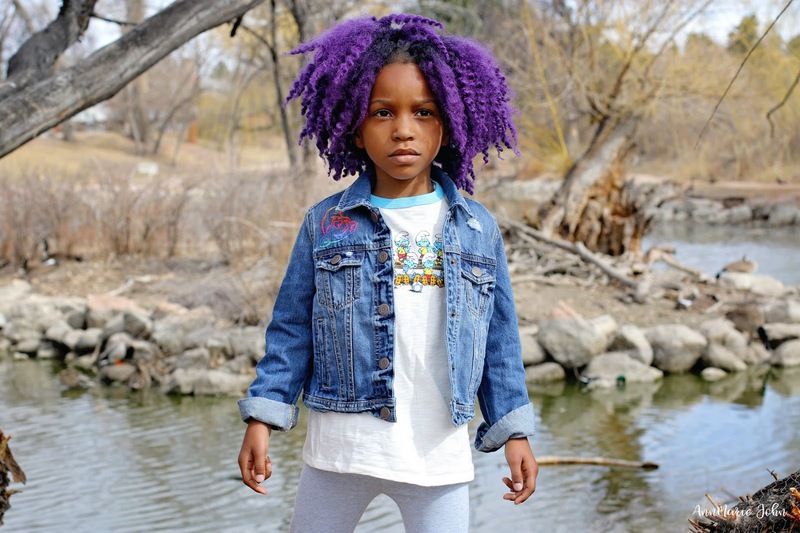 She has the coolest hair! Such a natural at modeling those clothes. So many ways to mix it up with those outfits. These clothes are all so adorable! My kids would love to wear them. OMG. I loved the smurfs when I was younger. 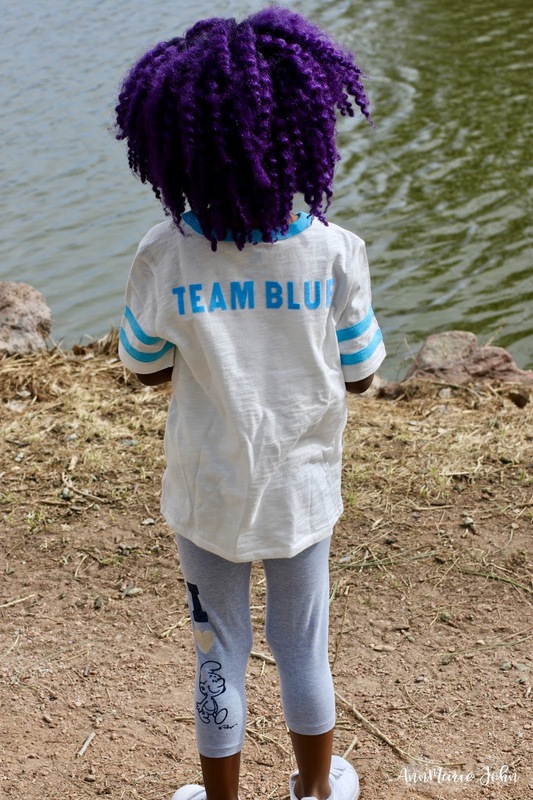 Team Blue all the way of course! 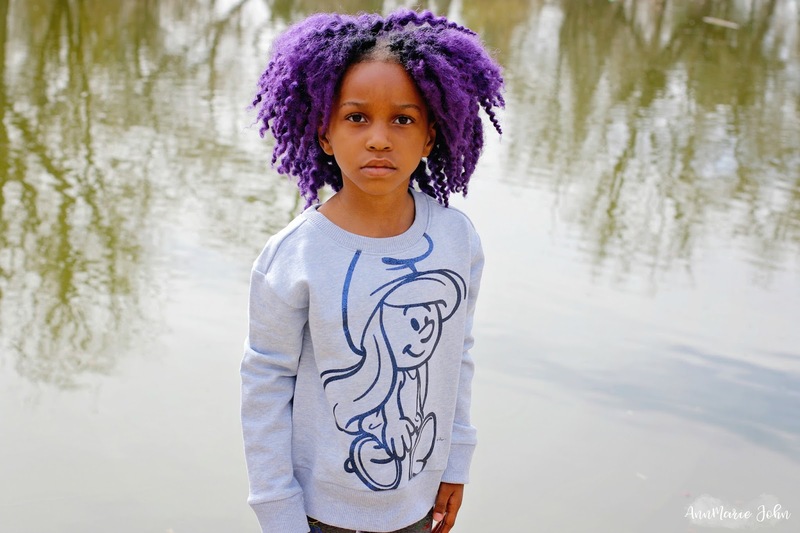 That sweatshirt with the leggings are just way too cute! Love the outfits she's got going on! I grew up watching the Smurfs. I love all these great pieces. My Daughter would love to have them all in her wardrobe. These are such great lessons to teach your daughter. 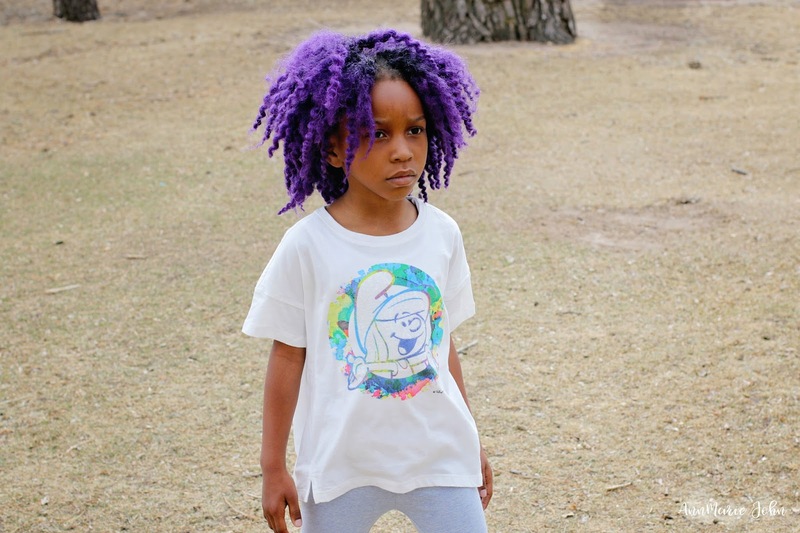 I have two little girls and am all about #GirlPower and teaching them to be strong women. I love the outfits; they are absolutely adorable! The jean jacket, dress and leggings are so adorable. I wonder if they sell this collection in bay sizes. 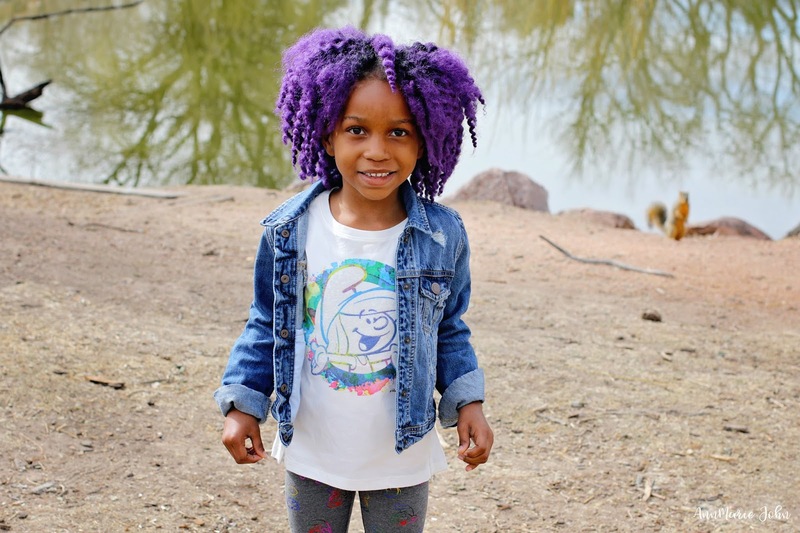 Awesome tips for raising strong little girls! Thanks for sharing. Your daughter! Such a natural. She can rock it! I love to see children at young age act so mature and professional. Excited for Smurf movie! 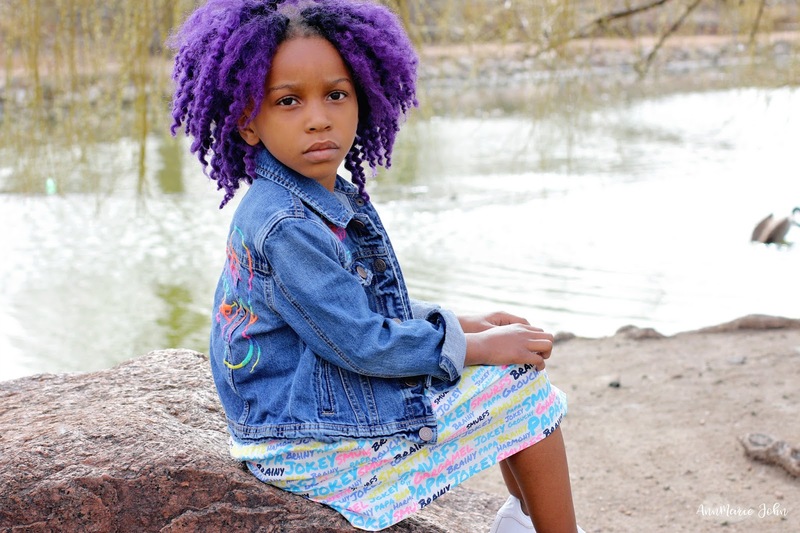 Your daughter has a style and a super confident personality. Love the way she has pulled off the photo shoot. These are so cool Smurfs collection. Looks amazing on her! Oh how I wish my daughters were this little again. I would have bought them some of these cute pieces. Your daughter is stylin' in those clothes! 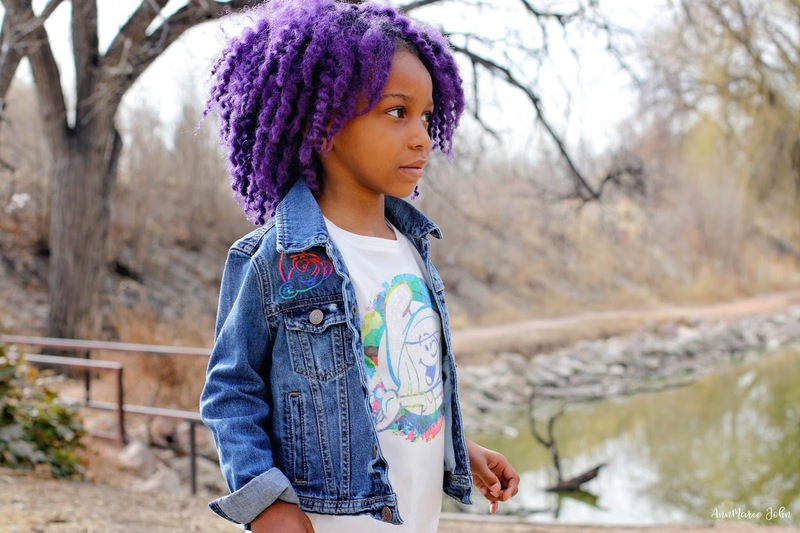 These are some great tips to help encourage girls to be the best women they can be! 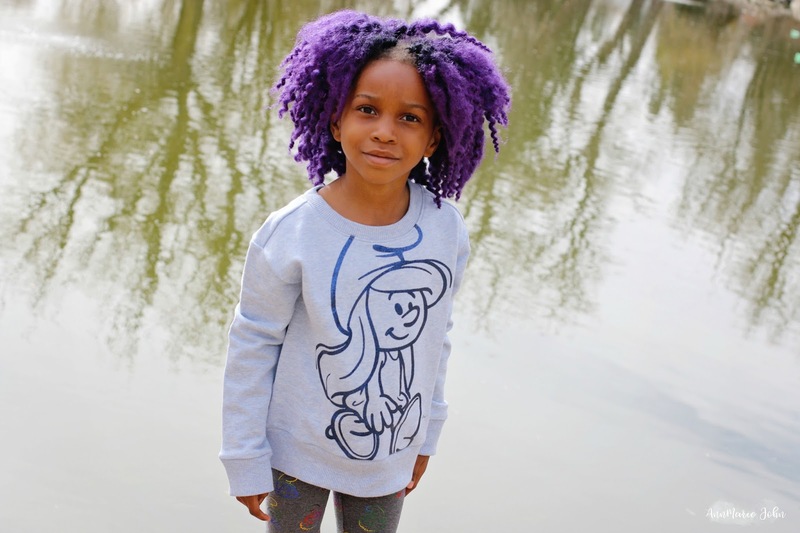 No better way to show your daughter how to be a boss than to draw inspiration from Smurfette! She knows how to rock at it. I'd like to think that I raised my daughters with confidence and the skills that they need to survive this country (or world). The clothes are absolutely adorable!!! I wish they have some for adults too, lol! The smurfette and the clothes are all very cool. It looks like you are raising an intelligent and confident young woman. I totally love their clothes such a beautiful and stylish outfit. My daughter will also love it. She's so cute! Love her clothes. Kudos to a great mom like you! It makes me happy to read about moms who encourage and support their kids to grow up and reach their dreams! The outfits of you daughter shows off her personality. She looks like she's going to be one strong, confident and compassionate woman. These are really cute outfits! Do they have bigger sizes for teens? :D Checking these out! These outfits are adorable, and I am just in love with your daughter's hair color. I love the dare to be different tip. I think it's so important to encourage our kids to be themselves. i was excited about the movie but now i'm excited about the clothes and the movie! and your daughter is gorgeous. 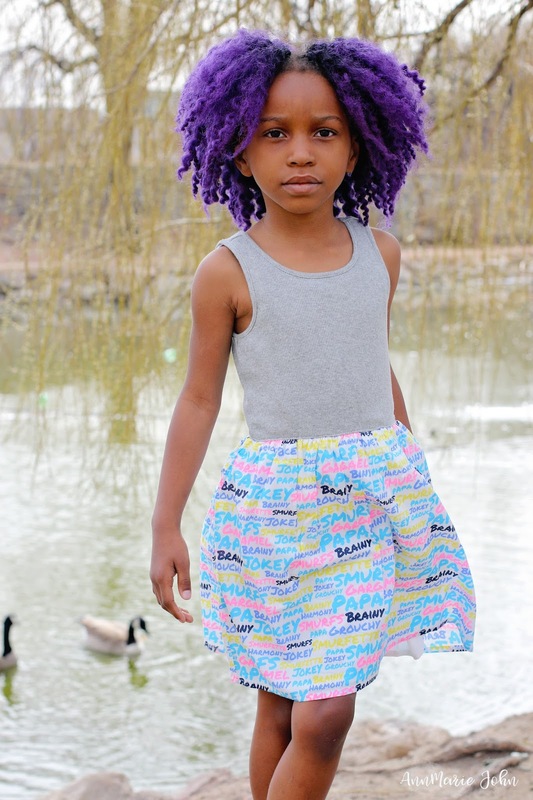 i love her hair!!! Anything with the Smurfs is great by me. I still have my Smurf collection on my mantle. Your daughter looks great in that Gap collection. great tips to instill confidence. She's so cute. Love the clothes. My daughter would love that dress!!! I love the Smurfs! I really like this post and the positive messages about children's dreams. We've been studying how to encourage our children's individual endeavors as well. Can I also say, your daughter is so pretty and she did a great job introducing the GAP collection. Your daughter is really a natural. These pictures are really good. These are such great tips! I love everything about this post; first, your daughter is really pretty; second, I LOVE her hair; and lastly, her outfits are the cutest! I love all those clothes. My daughters would definitely love to check out this movie. Your daughter is so beautiful! This is a great way to build confidence in young girls! I can't wait to see this movie when it comes out! Your daughter just has the it factor. I love her little stances she is the perfect model! 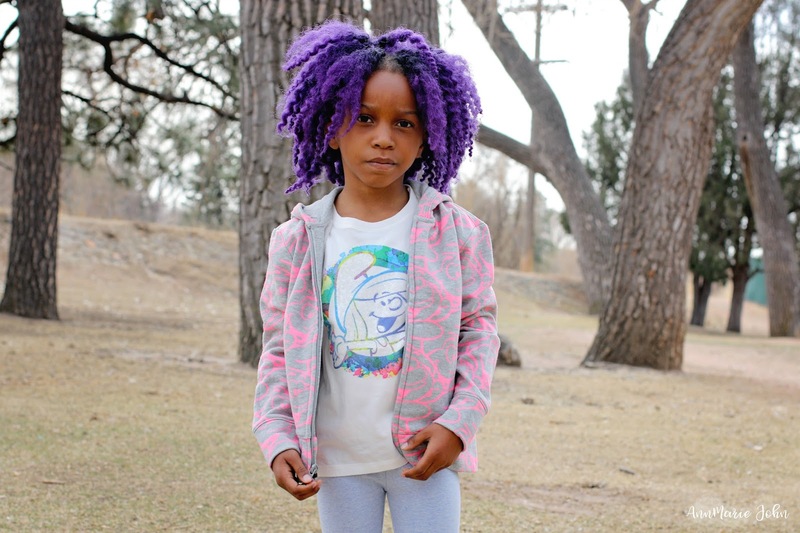 Your daughter's hair and clothes are so cute! I love it! You've got an eye for photography too. This is great advice for all young girls out there. Also, the clothes look rather nice! Lovely little outfit. She is adorable! These clothes are super cute and very modern. I love the upgrade they've given to Smurf wear. It's still fun but not like it was in the 80s. Wow, your daughter is rocking her outfit well. She has a very confident momma, great job! I used to love the Smurfs when I was a kid! I love that they are totally back in and being introduced to a new generation. Oh the new SMurfs movie is giving me such throwback vibes...I love it. 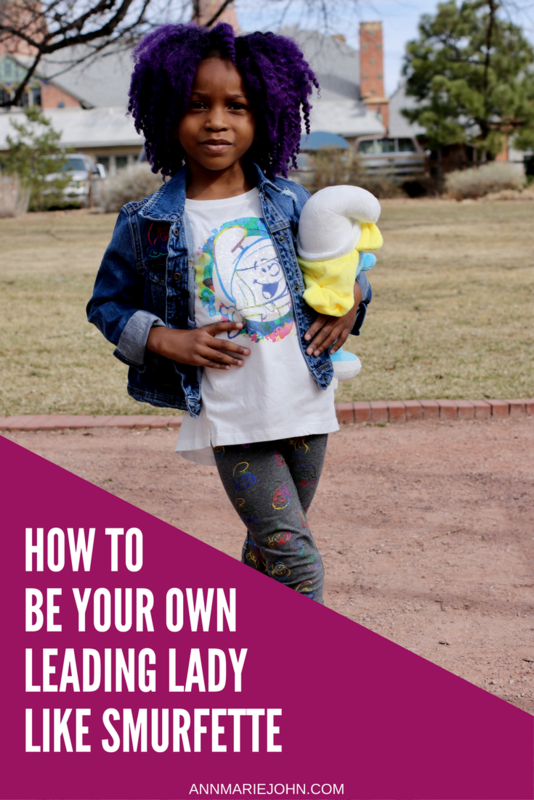 Love the lessons of how to be your own leading lady, I def think its so important to teach girls. Smurfette was by far my favorite when I was a kid! 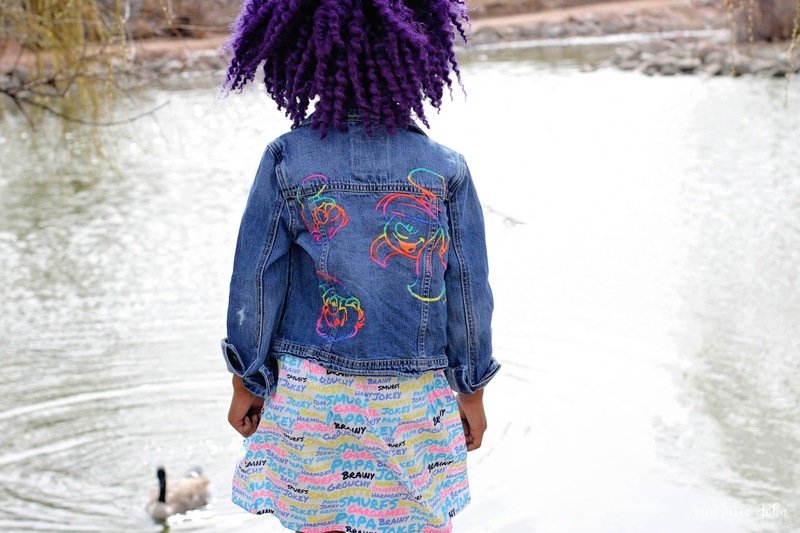 I adore that denim jacket with the rainbow smurfs. I also love Gap Kids clothes because they wear really well! What an adorable collection! I have to look into this one for my daughter! I used to watch quite a bit of the smurf cartoon when I was a kid. 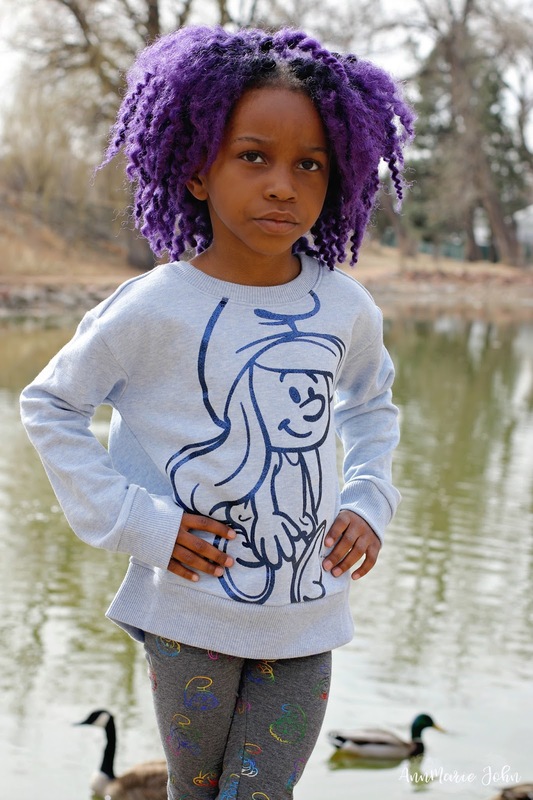 I love the simple grey sweater with smurfette on it. It's simple and cute. Two things that I like to have on my daughter's clothes. I grew up watching the Smurfs with my mom. It was one of her favorites! I have to say, I am a bit jealous I can't have some of these in my size, I love leggings and would totally rock them and the tee's! Madison is looking just fabulous in those outfits! Sweet photo shot. It's been a while since I've though of Smurfette. Her hair looks really great! Fabulous! How fun! I love Gap clothes for kids. They are so much fun! And the clothes is actually decent quality! Really cute pieces, I also grew up on the Smurfs. There is no surprise that Smurfette was my favorite. I'm a sucker for a jean jacket and this one is really cute. Omg she looks so adorable, I love her hair so cute. I loved the smurfs as a kid used to watch the cartoons all the time and even now as a grown up I still watch the movies so we always have a little bit if a kid in us no matter how old we get. Love all the outfits they are so adorable. If you want to make your Smurf costume on a budget - try your local thrift store! Second-hand thrift stores and dollar stores have some cheap ideas you can use. Try browsing for anything Smurf blue and work with it. Or buy used white or light color items that will take blue dye easily. 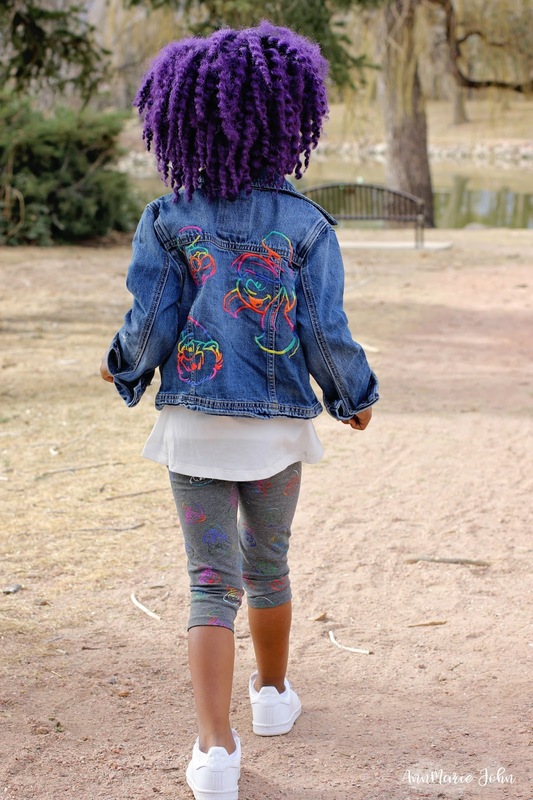 So excited to see the movie.. your daughter is so adorable, I love her hair. So cute and vibrant. Wow I love your daughter's hair! Cute outfit btw!